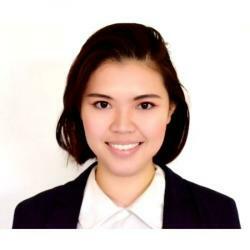 Yiwei Chen is a Master of Finance student from China who represents FS as a Student Ambassador. Whether we are ready for the winter Olympics or don’t even know how to put our skis on, we knew we were going to love this ski trip as soon as we bought the flight tickets. “Pizza! Pizzaaa!! Amy!!! No French fries!! !” Steff was not ordering his meal, instead, he was teaching Amy how to brake and ski downhill before grabbing a happy hour drink with the group. At the same time, 2 of us were in the gondola, 6 of us were on the slope across the forest and rivers and 4 of us had arrived and were dancing to techno at our meeting point in front of a lounge bar. What a wunderschön moment! I wish the time could just stop! Oh! That sounds like a lot of us, right? How many were we? 14 FS students 8 girls and 6 guys from 10 countries including an exchange student and one applicant of FS! Ah, yea! Just for your information, our Master of Finance programme has 31 nationalities. We got to know each other since September 2017, ever since the outdoor campus, we have become a big family! Right after the final exams, we came up with the idea of enjoying the nice snow during our winter break. After comparing multiple high ranked ski resorts in Europe, we voted for Bansko, Bulgaria: 90km slopes, 14 lifts, good food, nice drinks and affordable prices! Day 1: Later that night, we had our welcome dinner at the hotel in Bansko with extremely delicious, food and, of course, house Rakia (40% abv Bulgarian brandy). For the next week, we would become one family of air blasters in heavy metal boots dancing on the snow. Day 2: The name of the game was ski, ski, and ski. After a healthy breakfast, everyone headed to pick up their rental ski/snowboard equipment, antsy to hit the slope. The gondola took us up to 2600m having a view of the whole city surrounded by breath-taking snow mountains and excited to finally hit the snow for the first time. The vibrant emotions that come along for the ride like when Peter Pan returned to Neverland! Day 3: We all joined at the top of the Mt.Todoraka, and had our first group picture under the sun in front of the epic scene with countless peaks fully covered in white. After a great BBQ lunch, everyone was eager to get back and enjoy the snow and speed. As the sun went down, and the moon started to appear, we had a majestic sight as the entire green slope began to glow in the dark. We gathered for the apres-ski enjoying a good beer, and the best tunes because trust me, after a few hard days of skiing, there is no better cure to those sore muscle than dancing. Day 4: Although our legs disagreed, the clear skies and the bright sunshine were greeting us. We hit the slopes one last time on the final day and skied until our legs were made of jello. On our last night we gathered at the Happy End lounge bar, to celebrate Yuwen’s birthday together with some Kamenitza beer. Day 5: The last day of the trip, we had our last Bulgarian meal together with, our last party as well as the last minute sightseeing tour to check out the capital and the famous St. Alexander Nevsky Cathedral. Thank you to everyone who made each day of the first unofficial ski trip so amazing. It’s a special kind of community when no matter where we ski, we will always have a warm hug waiting by the end of the slope, a cold beer to share, and a soft couch to chill on. It was full of fun and we all had a blast! See you soon for the second edition!